Since 1994, Desert AIDS Project has been committed to preventing food insecurity for low-income people living with HIV/AIDS (PLWHA) by facilitating access to healthy and balanced nutrition. Thanks to the generous support of Bank of America, $25,000 in funding has been granted to ensure that commitment is fulfilled. Low-income PLWHA can face severe barriers in meeting their basic needs including adequate housing and nutrition. When these basic needs are not met, additional challenges arise such as postponing medical care that can result in devastating health outcomes and increased service costs. In addition, HIV medications require a wholesome diet to reinforce the beneficial effects of the drugs taken. Providing access to nutrition produces tangible health benefits for our HIV-infected clients. 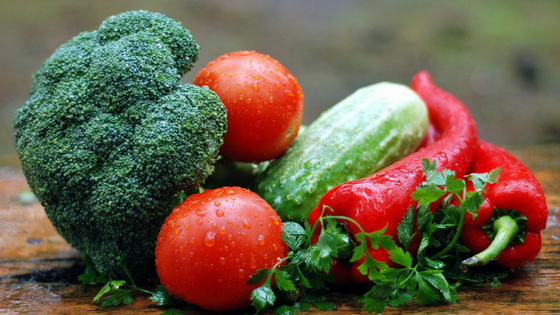 Nutritious food is a vital “co-therapy” – along with medical intervention – to stabilize or improve health for PLWHA such as warding off “wasting,” a severe loss of muscle tissue that may accompany HIV. Bank of America grant funds will be used to support our year-round Nutrition Services Program at our main campus in Palm Springs and at our satellite office in Indio. D.A.P.’s Nutrition Services Program includes healthy food distribution, emergency food distribution, grocery vouchers, congregate meals, and nutrition education program. There is no way to fully express our gratitude for the incredible commitment of Bank of America in supporting D.A.P., our community, and the Nutrition Services Program. Their support has repeatedly played a key role in helping people living with HIV/AIDS lead healthier lives. Click here to learn more about how D.A.P. is working to help our clients make healthy food choices through our food voucher program, our Farmers Market, and our twice-monthly cooking class where clients learn to make great, no-fuss meals for very little money.